Christmas has always been my favorite time of year. I have vivid memories of my Mom and Grandma always cooking and baking. Now with my adventure into food photography I want to share with you my new and old recipes. Hope you will enjoy them as much as I do. Add brown sugar, granulated sugar and melted butter to a large bowl use hand mixer to mix until smooth. Mix in eggs and vanilla until combined. In a separate bowl combine flour, baking soda, and salt. Sift into sugar mixture until batter is fully mixed. 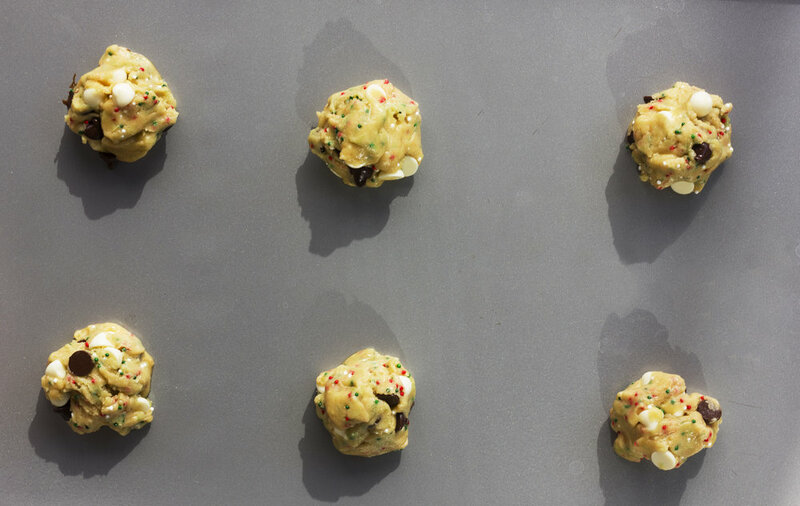 Make dough into balls and evenly space onto a cookie sheet. Cook for approximately 7 1/2 to 8 minutes in oven. Let rest on cookie sheet for 2 minutes and transfer to wire rack until cool. As a child my Mother and Grandmother were always cooking and baking and their love for culinary has inspired my food photography. 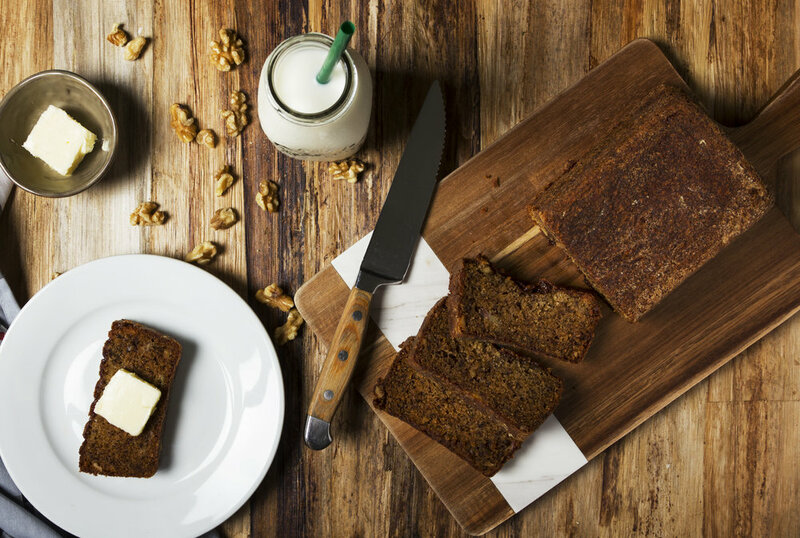 Whenever I have bananas that go overly ripe I love to make banana bread. Hope you enjoy it as much as I do. Preheat oven to 350, coat inside of two 9x5 loaf pans with butter and dusted flour or cooking spray. Place walnuts in a pie dish and lightly toast. In a medium bowl sift flour, baking soda, cinnamon, and salt together. In another bowl, combine the sugar eggs and oil and beat at high speed until well blended. Mash banana and add vanilla until smooth texture. Blend banana into sugar mixture. Mix in dry ingredients until throughly blended and then fold in walnuts. Pour the batter into the prepared pans and bake in middle of oven for 50 to 60 minutes. Check with toothpick until it comes out clean. Let slightly cool before turning over on cooling rack.